South Street Diner Celebrates Red Sox Home Opener with All-You-Can-Eat Fenway Franks! South Street Diner Celebrates Red Sox Home Opener with All-You-Can-Eat Fenway Franks! South Street Diner Celebrates Red Sox Home Opener with All-You-Can-Eat Fenway Franks! South Street Diner is welcoming the Red Sox back to Boston for the official home opener on Monday, April 11th with all-you-can-eat Fenway Franks from 11am to 10pm with the purchase of a $2.50 beer. Watch Boston’s beloved Sox play the Baltimore Orioles without paying those hefty pahk prices. Wear your favorite Red Sox gear to be automatically entered in a raffle to win tickets to an upcoming game! South Street Diner Celebrates Start of the Red Sox Season with All-You-Can-Eat Fenway Franks! WHAT: The Red Sox return to Fenway on Monday, April 11th to kick off the 2016 season with the home opener against the Baltimore Orioles, but opening day can be pretty hectic at the pahk. 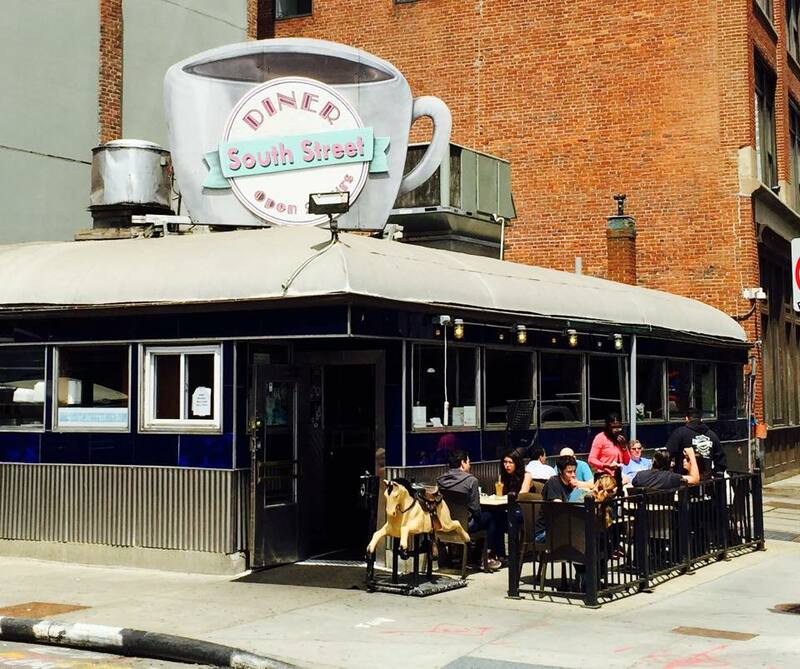 South Street Diner is giving Sox fans an alternative, cost-effective option to catch the game without having to fight the crowds and pay the Fenway Park prices. From 11 a.m. to 10 p.m., South Street Diner is serving up free all-you-can-eat steamed Fenway Franks with the purchase of only one beer! For the price of $2.50, you can chow down on the official hot dog of Fenway Park until you become the Green Monstah, while watching the game on the South Street Diner televisions, all without the headache and hassle of overpriced parking, traffic and Fenway Park prices. To make this year’s home opener at South Street a true home run, the diner will be raffling off tickets to an upcoming game this season and all of those in attendance wearing Red Sox apparel will be automatically entered to win.